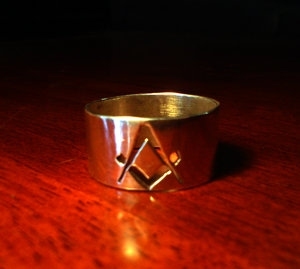 The only way to become is a Freemason is to ask one. To be one, ASK one. The process is as old as the fraternity itself and ensures that the individual seeking the degrees is doing so of his desire and will. The mission of Freemasonry is to promote a way of life that binds like minded men into a worldwide Brotherhood that transcends all religious, ethnic, cultural, social and educational differences; by teaching the great principles of Brotherly Love, Relief, and Truth: and, by the outward expression of these, through its fellowship, its compassion and its concern, to find ways in which each may serve his God, his family, his country, his neighbours and himself. Keep in mind, Masons do not solicit for members, the decision to become a Mason is your own. If you are seeking Membership YOU MUST ASK a Mason or a Masonic Lodge for an application.